Prime Minister Justin Trudeau was utterly humiliated in India last week, said Candice Malcolm in the Toronto Sun (Canada). Indian Prime Minister Narendra Modi, “known for his gracious hospitality and warm bear hugs when greeting foreign dignitaries,” sent a lowly junior minister to meet the Trudeau family at the airport. Five days later, Modi finally tweeted a welcome to his Canadian counterpart. Other Indian leaders offered a similar cold shoulder. Over his eight-day trip, as Trudeau took his wife and kids to the Taj Mahal and other tourist sites, state governors did not receive him. Why the snubs? 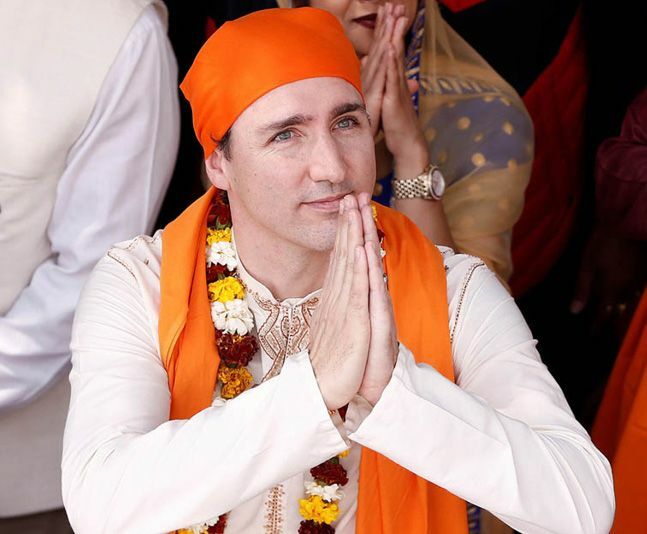 Indians believe Trudeau has been “playing footsies with Sikh extremists,” because at a Khalsa Day parade in Toronto last year he met with separatists who want an independent Sikh nation of Khalistan carved out of northern India. At the very end of the trip, Modi did meet with Trudeau—but the visit was perfunctory and achieved precisely nothing. That’s because this trip wasn’t about foreign policy at all, but a bid “to score with his Sikh constituency back home” ahead of the 2019 elections, said Indrani Bagchi in The Times of India (India). Four of the six cabinet members Trudeau brought along were Sikh, and he made sure to visit Sikh strongholds. Worst of all, Sikh terrorist Jaspal Atwal—convicted in 1986 for a failed assassination attempt on an Indian minister in Canada—was invited to a dinner reception. Trudeau said Atwal’s invite was a mistake, but that such a thing could even happen reveals how cavalierly Ottawa treats Sikh militancy. Canada often compares the Khalistan issue to Quebec separatism—but Quebecois militants killed just a handful of Canadians, while Khalistani violence has claimed the lives of tens of thousands. Prime Minister Indira Gandhi was murdered in 1984 by her own Sikh bodyguards.